Why Carrying Knives in the Boot can be Useful? What Are the Important Characteristics of the Boot Knife? The best way to stay safe at all times is to be properly armed. Guns are not always an option, especially around children, and a knife is thus the best choice you can make. Discover more: If you use gun in hunting, I recommend you should read best gun cleaning kit. It is portable, light, easy to hide and, most importantly it will serve you not only for defense but also numerous other tasks that await you when you embark on outdoor adventures. 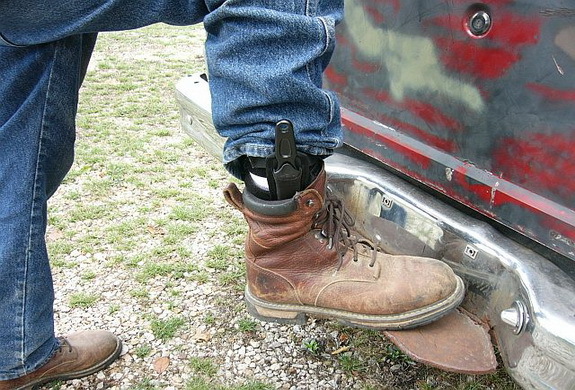 As most of you already know, the best way to carry and conceal your knife is to wear it in your boot. There are specially designed ankle knives, but you can also improvise and convert your favorite knife into the boot knife. Of course, it has to be the right size and shape. As we have already mentioned, boot knife has to have a certain shape, dimensions, and weight so that it would not bother you while walking or performing other activities. Although less important, its sheath, handle, and blade must be considered too, as well as the material it is made of. The perfect overall size of a knife should be between seven and nine inches. Typically more length is taken up by the blade (4-5 inches), or the length of the handle equals it. The right size allows you to conceal the knife successfully as it does not create a visible outline on your pants.The ideal weight is around 3-4 ounces. The blade should be well proportioned and compact. The material blades are typically constructed of is the stainless steel, most often grade 440 as it contains a higher percentage of carbon offering an excellent hardness and edge retention. The blade can also feature oxide finish for protection and extra durability. Ceramic coating is also an option to prevent corrosion. The blade can be single-edged and double-edged. The latter allows you to exploit both sides of the blade easily but also slice and rip more precisely. As any handle on any tool you use, the knife handle must permit for a secure and comfortable grip. It is even more important for a boot knife as you have to pull it up from a sheath and you surely do not want to drop it while drawing it, especially if you are in dangerous situation. For this reason, handles are often rubberized or made from other slip-resistant materials. 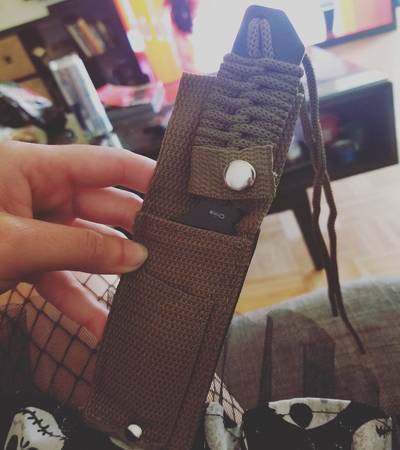 In order to be able to wear the booth knife without it harming your leg, ankle, or foot, you have to have an appropriate sheath to hold it securely in place. You would not want a sharp edge of your knife brushing against your skin, and that is why it is important to have some sort of barrier in-between. Sheath must be made of strong material that cannot be pierced through by the knife such as glass-filled nylon. Logically, in order to wear a boot knife, you have to own the suitable boots. 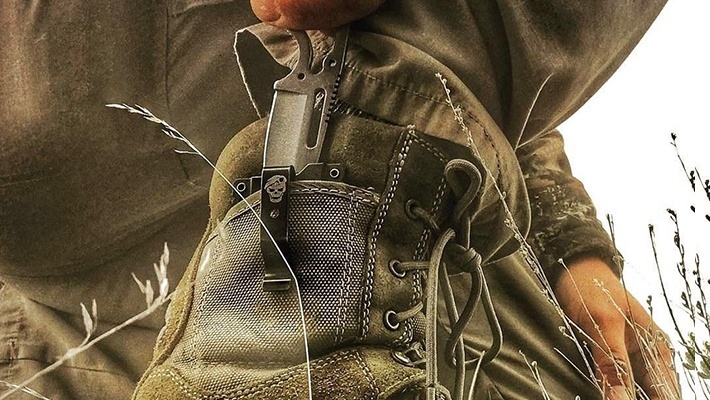 There are modern boots with an integrated pocket designed especially for carrying knives, but even those with no built-in pockets can be converted into becoming fitting to wear your knife. Choose comfortable boots, as you will surely need to handle rough terrains or long distances. Most importantly, buy strong, heavy-duty boots- preferably steel toe ones able to protect your feet from the knife. Of course, your personal budget will dictate the maximum price you can afford to pay when buying a boot knife. However, in case your budget is limited, you can still start with a cheap boot knife and see how it works. However, we highly recommend that you invest into a top rated, high-quality knife that will be able to serve its purpose and keep you safe. Opt for durability, rather than low price; if you use your knife for years to come, it will certainly pay off at some point. 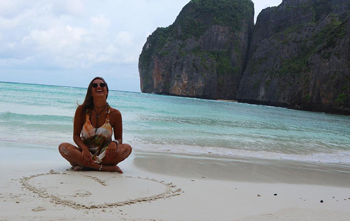 One thing more, the high price will not guarantee the best quality, and instead of assuming that, do a thorough research and read as many independent reviews as possible before investing your hard-earned money. As we have promised, we comprised the most detailed guide on how to properly wear a boot knife. Assuming that you have read our previous suggestions and bought yourself a reliable boot knife, we will guide you through the process. 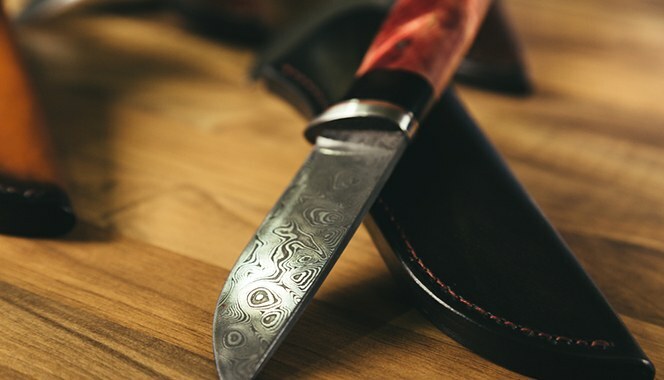 After making sure that your knife has all the necessary requirements listed in the previous section of our guide, you should place your knife in your sheath, and, especially if you purchased the two separately, make sure that they fit snugly. The knife should be held firmly by the sheath so that it would not slip out and hurt you or get lost. Put on your boots and decide where you want to attach your knife. If you are right-handed, choose that side, and vice versa. Choosing your dominant side will allow for a safer, more secure and comfortable knife draw. If you opt for your inner side, you are sure to encounter problems taking your knife out when needed. If your boots come with a specially designed pocket, you can simply slide the knife into its designated slot carefully. If, however, your boots do not come with such an integrated pocket, at this point, you will have to use a piece of durable string or your shoelace. Make sure that the string is strong enough, and will not break off easily and then use it to tie the sheath to your calf. In order to do this properly, position the halfway point of the line on the flat edge of the sheath and then wrap the string around the sheath two or three times, repeat the same with calf. Finally, tie the string in place and make sure that the connection is secure. When inserting the knife, mind the depth as well as you do not want too much of the knife exposed. Before you set out on your outdoor adventure, test the functionality of your boot knife at home just to be sure that everything fits the way it should and can be efficiently used when the need arises. We suggest that you walk around for a while with your booth knife on and make sure you feel comfortable if not, make appropriate adjustments. Next, draw your knife several times and check if it comes out smoothly, without jamming in the sheath. Once everything is adjusted to your satisfaction, you are good to go. Make sure that the laws in your country or state do not prohibit carrying this kind of weapon; many states disapprove the use of boot knives. Extra Tip: How to make a boot knife sheath? 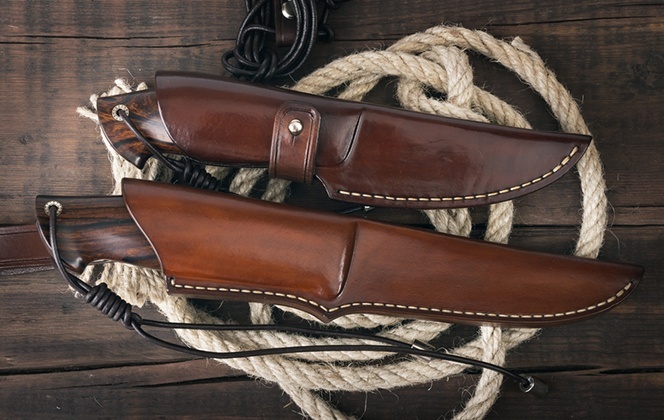 If you have designated a pair of your boots to be used solely for this purpose, you can sew a fixed sheath using the basic leather-sewing equipment. In this way, the knife will always be there, and you will eliminate the need to tie it up repeatedly. If you have chosen both your knife and boots wisely, followed our instructions how to wear the two properly, and made sure you do not break any local or state laws- you are all set to embark on your adventures with confidence and sense of security. Good luck!